I hope all of you enjoyed a wonderful weekend with your loved ones! I actually spent two beautiful days including a romantic dinner with my lovely boyfriend, a long overdue coffee chat with a good friend who finally moved back to Vienna (welcome back, my dear Kerstin!) and a really good ballet performance with choreographies by William Forsythe. My Monday was very nice too! 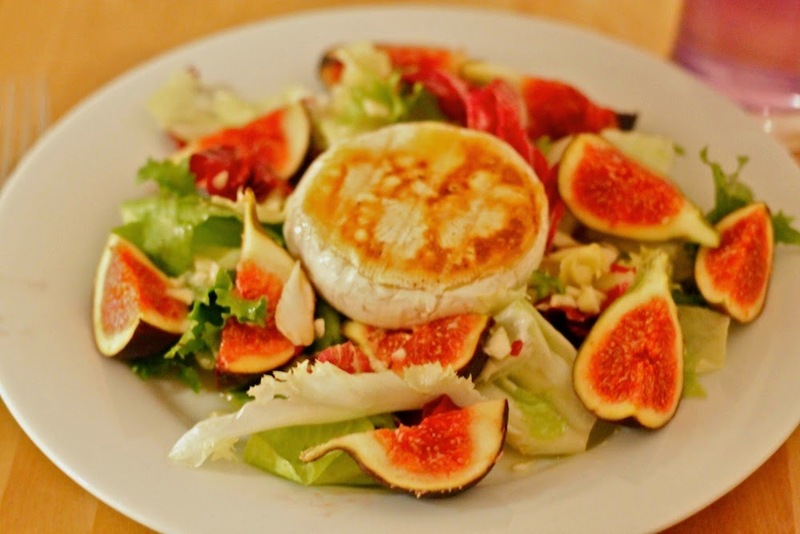 Among other things I prepared a really good green salad with figs and camembert, which I want to share with you today. :) Here comes the recipe! 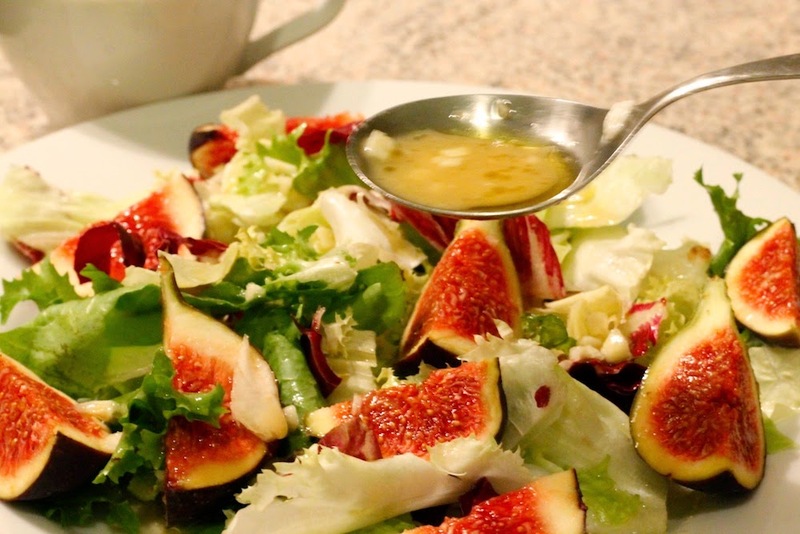 Arrange the green salad on a plate and slice the figs. 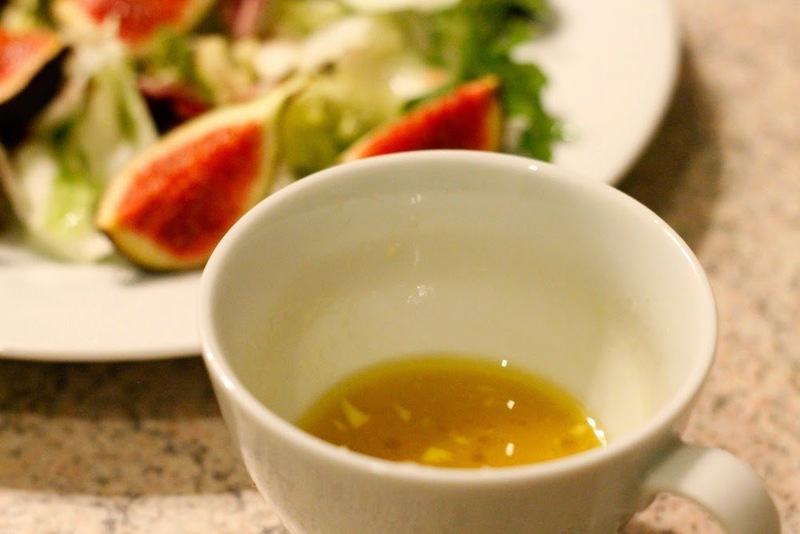 For the dressing chop the garlic glove and mix it with the vinegar, the mustard, the maple syrup and the olive oil. Salt and pepper to taste. 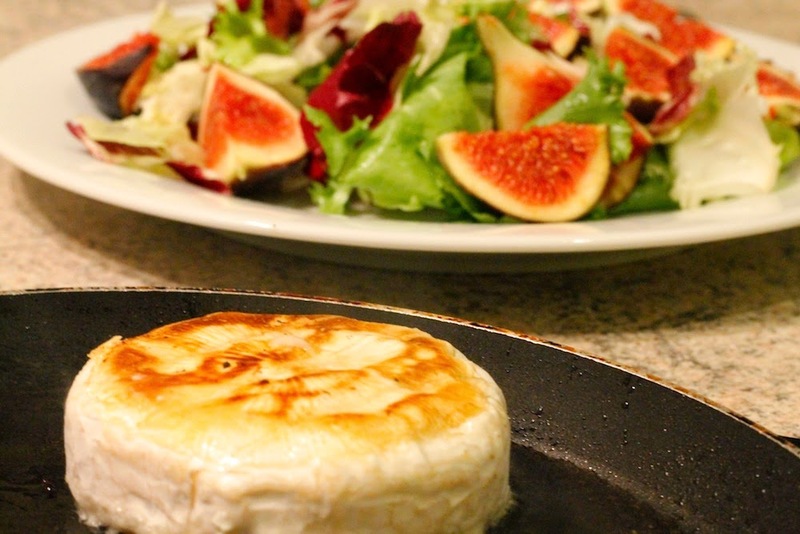 Heat up some oil in a pan and fry the camembert from both sides until it's golden brown. 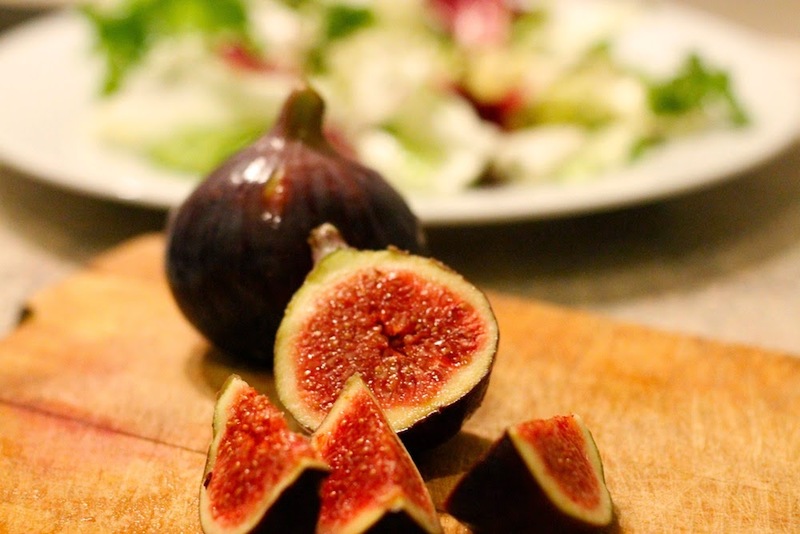 Arrange the figs on the salad. 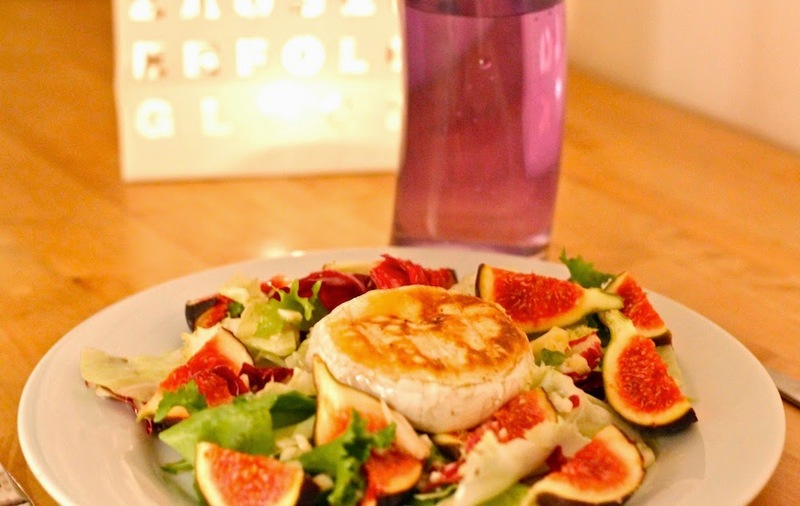 Sprinkle it with the dressing and put the camembert in the middle of the salad.